From across Cape Town residents expressed concern at a meeting last week that the City, particularly Mayor Patricia de Lille, is taking a “development at all costs” approach with little regard for public sentiment and sometimes the City’s own policies. But the mayor has dismissed most of their accusations as “lies”, adding “bring on the evidence”. In an emailed response to questions, she uses this phrase, or variations of it, six times in response to eight questions. The meeting on 15 February, organised by the Development Action Group (DAG), emerged out of research by the organisation’s Ryan Fester, who interviewed communities about 18 controversial development proposals ranging from the Cape Flats to the Atlantic seaboard, including the Two Rivers Urban Park, the R1bn retail and housing development in Bo-Kaap and housing development proposals in the Philippi Horticultural Area. Fester told the meeting that a common theme had emerged of “an inconsiderate city”. “Inconsiderate of heritage, inconsiderate of the environment, inconsiderate of people’s opinions. It was a case of development at all costs,” Fester said. It was claimed at the meeting that the mayor had given an instruction to city officials that they were not to raise objections to development applications submitted to the city. Several people at the meeting criticised the mayor for “riding roughshod” over public opposition to controversial developments, and said the public participation process had become simply a “tick-box” exercise with no real concern for people, culture, the environment or heritage. Bruce Smith, vice chair of the Kommetjie Residents’ and Ratepayers’ Association (KRRA) said at the meeting the principles contained in city council policies such as the spatial development framework and the urban edge policy often appeared to be “of no consequence” when the city approved a development application. “You see the huge quantity of specialist reports that accompany an application. They are probably not even read. The city planners’ recommendations are usually less than a page. You see 70 to 100 objections from small communities. It doesn’t seem to matter,” Smith said. 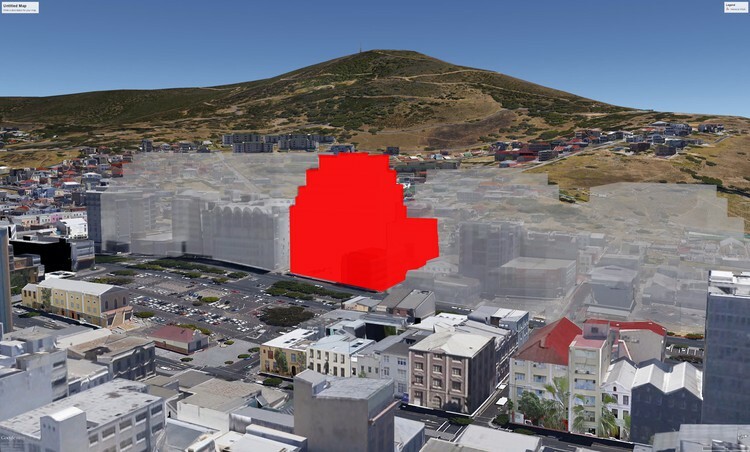 Osman Shaboodien, chair of the Bo-Kaap Civic Association, was unable to attend the meeting as he was in discussion with attorneys about the possibility of taking the City to court over its approval of the controversial R1bn apartment and retail building to which 1,000 people objected as being inappropriate for the Bo-Kaap. It was approved and the subsequent appeal by residents was turned down. He believed the municipal planning tribunal, which made decisions on development applications, was biased as people who had worked for developers were on the tribunal. “So the basics of neutrality is not there,” Shaboodien said. Patrick Dowling, chair of the KRRA, believes the city council had gone too far in institutionalizing – informally – a development-at-all-costs attitude. Dowling said De Lille had given an undertaking that there would be no more development in the peninsula’s far south until new infrastructure had been put in place, particularly to deal with increased traffic. Since then, the City had approved development applications for almost 400 new housing units in the Kommetjie area. There are 850 existing houses in Kommetjie. “So collectively the developments are adding half a village to Kommetjie. That is not organic growth. The city has all these processes and policies but they bend the rules at will. It is time for civil society to say: ‘Enough’,” Dowling said. Claims were made at the meeting that the mayor, who makes the final decision on appeals from parties who object to development approvals, overrode important technical information contained in appeals’ submissions when arriving at her decision. “Lies. Bring the evidence,” was De Lille’s response. Dowling said while the City had good policies, many people questioned how much attention it paid to them when considering development applications.